One thing which has stuck with me during my long running obsession with cars is my love of reading peoples detailed online journals of their projects. I would always find myself trawling the internet for hours, jumping from forum to forum trying to find more material to read and pictures to view, and ended up with a bookmarks folder full of build threads. 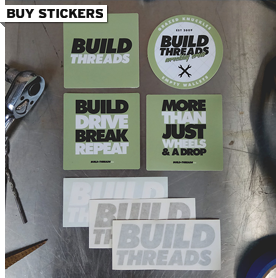 Build-Threads.com was created with the intention of sharing my passion with others by featuring the best automotive build threads from forums and websites around the globe. The idea behind it is to give readers an introduction to the build, and then link them to the actual build thread on the forum on which it was created, with no real focus on any certain genre. 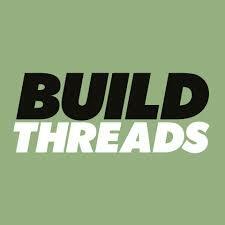 If you have a build thread you think is worth sharing, let me know by emailing me at buildthreads@gmail.com or head to the Facebook page. Also, if your build thread is featured on this blog and you would like it removed, feel free to email me and I’ll remove it as soon as possible. I just fell upon this blog, and I love it! I’m not even sure how I found it, but I’ve always loved following everybody’s build threads. I’m really looking forward to your updates, I’m impressed with what I’ve seen thus far. You really should have some kind of contact info up here, there are a few builds I could turn you on to if I had a way to get ahold of you. Great concept for a blog, one of my favs! Great blog. good info. Keep threading! Love your blog, fantastic work!!! Would like to add it to my blogroll if you agree?